Join Thomas Bryan as he explores the diversity of disability issues. Ellen has been a Wellington walker all her life. "I've enjoyed walking and using public transport everywhere I've been - it is the most interesting way to get around. 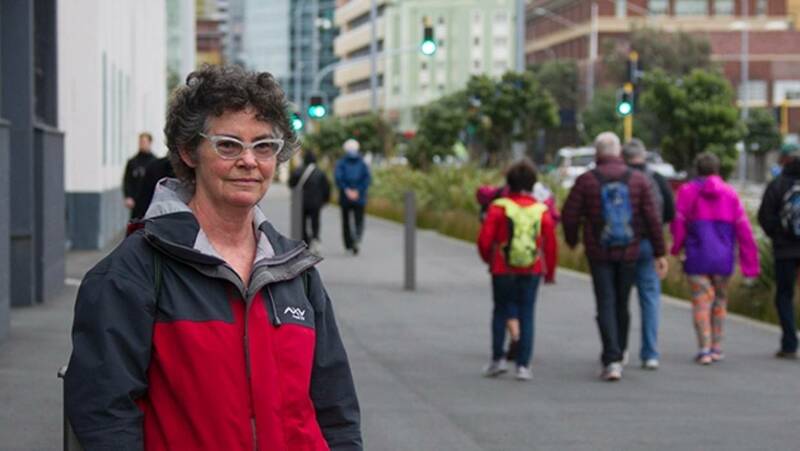 I noticed issues around walking when I had small children; instantly, vehicles parked and driving, or riding, along footpaths become a big concern, and crossing the road another challenge. I am interested to ensure walking and pedestrians are given much more prominence as the priority sustainable transport mode, and that our needs are better incorporated in urban design. I like to spend time outside working on native bush restoration projects, taking part in neighbourhood initiatives, and in my spare moments with my nose in a book." No Labels is a programme about your community with a focus on accessibility for all. The show looks at services which might assist you, and highlights topics and challenges that might pose barriers for older people, or those living with or experiencing disability. In each programme we interview someone from the community whose role, paid or voluntary, provides topical and current information relating to our community. Each show has a disability/accessibility focus and the issues this might pose for our community. Guests share about their role in the community, a little about themselves and their favourite music. Tune in every week, Tuesdays, at 1pm. If you want to get in touch with Thomas, send him an email.